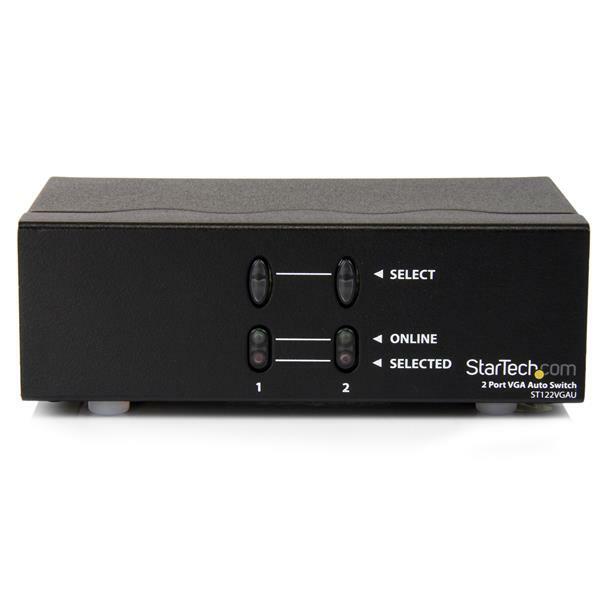 The ST122VGAU VGA Auto Switcher lets you share a display between two computers and prioritize your VGA signals. The VGA switch features a primary and secondary VGA input port, and automatically outputs the signal from the primary input. When the signal feed connected to the primary input port is cut, the switcher automatically defaults to the video signal on the secondary VGA input port. 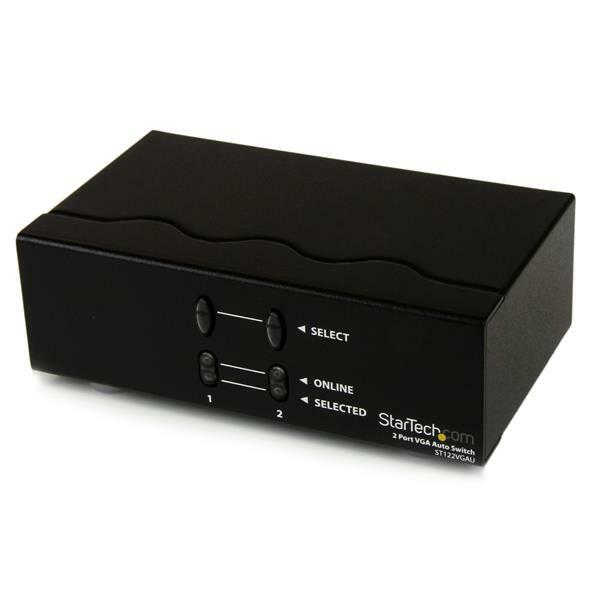 Designed for maximum control and versatility, the VGA Auto switcher also offers manual control of connected signals with easy-to-use front panel buttons that allow you to toggle between video sources. Note: When you are testing setup components, you should avoid using video adapters. 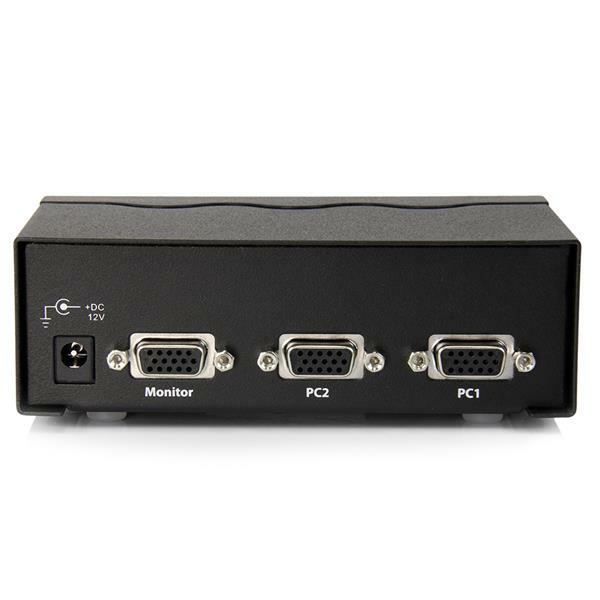 For example, if you are converting a VGA source to HDMI for use with an HDMI switch, you should use an HDMI source when you test the components. Use the cable, video switch, video source, and video destination in another setup to see if the problem is with the components or the setup. Use a different cable, video switch, video source, and video destination in your setup to see if the problem persists. Ideally, you should test a component that you know works in another setup. Remove the video switch from your setup and test to make sure that the video source and video destination work together without the video switch. Note: In order for your setup to work properly, the video source, switch, and destination all need to support the resolution that you are using.